Team up as Robin, Cyborg, Raven, Starfire and Beast Boy for a tactical RPG battle in Titans Most Wanted. The world's most dangerous villains have flocked to Jump City for the annual Crime Convention. With scoundrels lurking around every corner, the Titans have their work cut out for them. Robin couldn't be more excited! He's been waiting all year for his chance to play Bad Guy Bingo. If the Titans can KO the HIVE Five, Dr. Light, Plasmus, Mother Mae Eye, and Trigon in one day, they'll break Batman's world record. Play free Teen Titans Go! 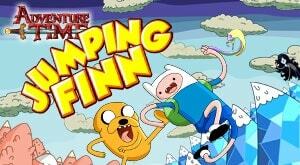 games and lots of other free online games on Cartoon Network!